The Treaty of Lisbon (2009) has brought foreign direct investment (FDI) within the scope of the European Union's common commercial policy (CCP). 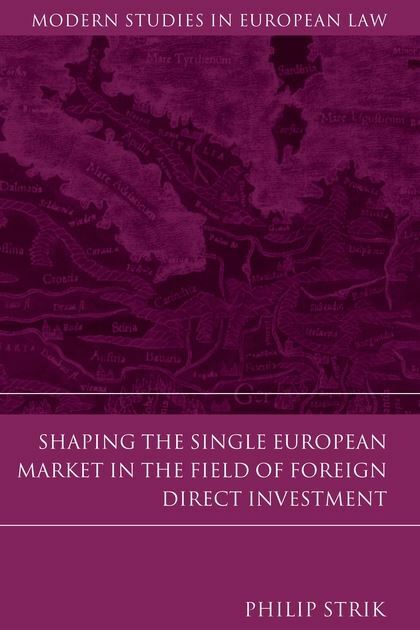 In light of this development, this book analyses the internal and external dimension of EU law and policy in the field of FDI. It takes four perspectives: (i) the operation of the internal market mechanism to direct investment; (ii) the implications of the Lisbon amendments to the CCP under Article 207 TFEU for the Union's competence and practice in the field of FDI; (iii) the interaction between EU law and Member States' bilateral investment treaties (BITs) with third countries; (iv) the interplay between EU law and BITs that are currently in force between two Member States (intra-EU BITs). 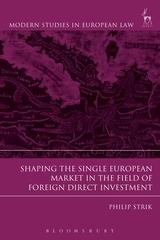 The book focuses on the extent to which the European Union operates as a Single Market for EU and non-EU investors. In doing so, it analyses the EU and international regulatory framework on the admission, treatment and protection of FDI within, to and from the Single European Market. 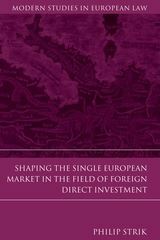 It uses close jurisprudential analysis and examines the context, purpose and evolution of EU legal integration in the field of FDI. It thereby traces the principles underlying the European international economic order in the field of FDI.